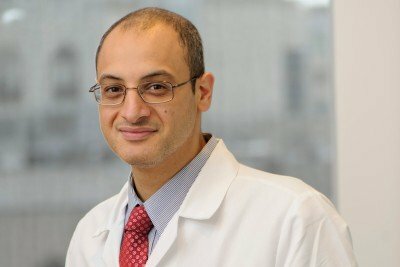 Omar Abdel-Wahab is an Associate Member in Human Oncology and Pathogenesis Program (HOPP) and an Associate Attending Physician on the Leukemia Service in the Department of Medicine at Memorial Sloan Kettering Cancer Center. Dr. Abdel-Wahab’s research focuses on the role of genomic alterations in the pathogenesis of hematopoietic malignancies. 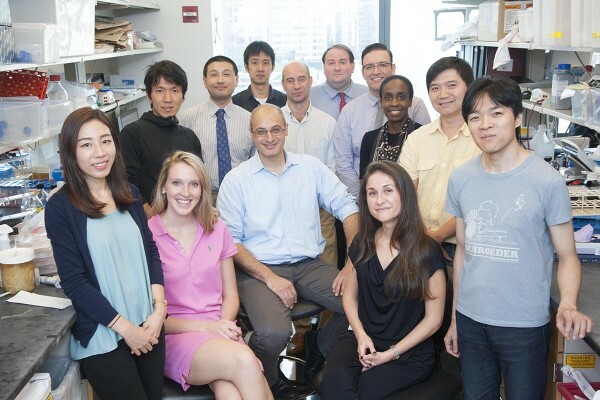 Physician-scientist Omar Abdel-Wahab studies the functional genomics of hematopoietic malignancies. Diamond EL, Durham BH, Ulaner GA, Drill E, Buthorn J, Ki M, Bitner L, Cho H, Young RJ, Francis JH, Rampal R, Lacouture M, Brody LA, Ozkaya N, Dogan A, Rosen N, Iasonos A, Abdel-Wahab O (cocorresponding), Hyman DM (co-corresponding). Efficacy of MEK inhibition in patients with histiocytic neoplasms. Nature. 2019 Mar;567(7749):521-524. doi: 10.1038/s41586-019-1012-y. Epub 2019. Mar 13. PubMed PubMed Central. PMCID: PMC6438729. Wang E, Lu SX, Pastore A, Chen X, Imig J, Chun-Wei Lee S, Hockemeyer K, Ghebrechristos YE, Yoshimi A, Inoue D, Ki M, Cho H, Bitner L, Kloetgen A, Lin KT, Uehara T, Owa T, Tibes R, Krainer AR, Abdel-Wahab O (co-corresponding), Aifantis I (co-corresponding). Targeting an RNA-Binding Protein Network in Acute Myeloid Leukemia. Cancer Cell. 2019 Mar 18;35(3):369-384.e7. doi: 10.1016/j.ccell.2019.01.010. Epub 2019 Feb 21. PubMed. PubMed Central. PMCID: PMC6424627.